Find yourself in a world of fantasy. Hiding in a closet to avoid school bullies, ten-year-old Bastian becomes immersed in a strangely compelling book: the tale of a hero’s quest to save the realm of Fantastica from the encroaching terror of the Nothing. But is Bastian just a reader of this extraordinary story – or a vital part of it? Filled with spectacle and wondrous other-worldly creatures, this beautiful tale of the trials of childhood and the triumph of creativity will delight and inspire the whole family. Stratford Festival and TodayTix are thrilled to bring you $15 Rush tickets to THE NEVERENDING STORY! Company may offer programs whereby the Company would make available certain features of the Services when you share information about the Services through an SNS or click on the “Unlock without sharing” button in the Application. 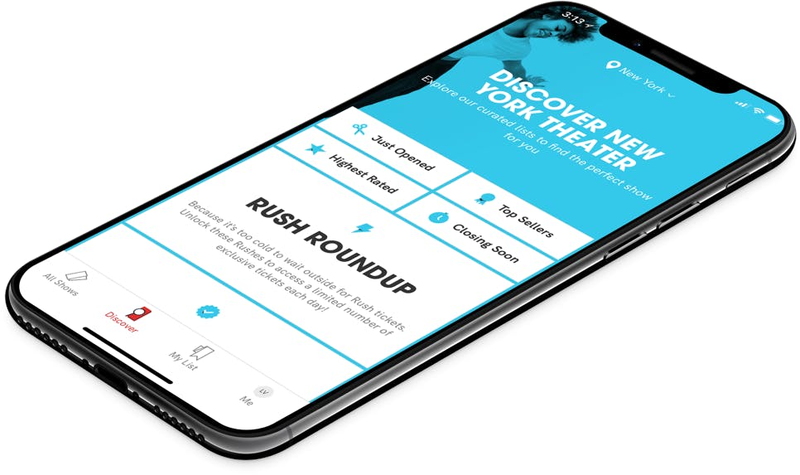 When you are considering purchasing a ticket for a specific show or after you purchase a ticket, if you select the “Share” button in the Application, Company will make available to you a personalized link to a Digital Property with text stating, for example, “Check out The Neverending Story on TodayTix! I’m thinking of going…” or something similar, which you may choose to share with your friends via SNS. Once you have shared the personalized link through an SNS using the Application or selected the “Unlock without sharing” button in the Application, Company will make available to you the RUSH feature, which will provide you with otherwise unavailable offers for tickets to live events occurring in the next week. The opportunity to take advantage of these offers is only available to users who share a personalized link to an SNS through the Application or select the “Unlock without sharing” button in the Application.